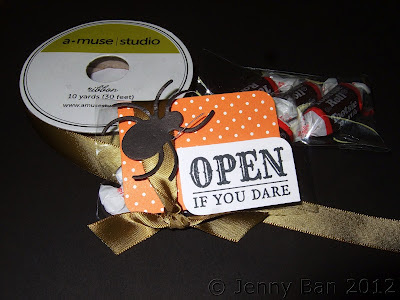 Jenny Ban Creates: A Muse Studio Holiday Hoopla! A Muse Studio Holiday Hoopla! It is August, and Holiday Hoopla is here! Now through September 30 A Muse Studio is offering some amazing deals, and I want to help you get in on them! Let me be your one-stop holiday shop: The fun holiday season is on the way, and I will be here for you whether you want some guidance on DIY holiday projects, a friend to craft with, or don't have the time to do the work but want to wow your friends and family with handmade products created by me. Host a workshop and get *extra* hostess rewards! With a workshop of $150 minimum and three unique customers you will earn $25 in product plus a FREE stamp set, "Dwell in Possibility". It is a beautiful year-round set. Bump that total to $250 and get the FREE stamp set PLUS $50 in product and 50% off any stamp set you choose! The increased rewards continue as your workshop total increases. Take advantage of a great Starter Kit Special! Only $99 will get you everything you need to start as an A Muse Studio consultant, including 4 holiday catalogs and an extra FREE stamp set of your choice! Join my team today and together we can help you build a successful business! Get Your Holiday Catalog/Idea Book Today! The A Muse Studio holiday catalog is more than just products, it is also an amazing idea book for holiday cards, party favors and more. If you want a catalog, please email me! I would love to help you get started on your holiday craft projects.